Clean My Gutter has a loyal and reliable team ready to meet all your roofing and gutter needs from metal roofs to tile roofs and all gutter works including gutter cleaning and Gutter Guard. 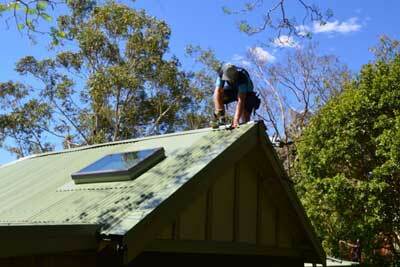 Roofing Services Sydney. We work Sydney wide and offer the best and fairest pricing to do the right job. We started in the north western suburb of Carlingford and have expanded Sydney wide doing a lot of work in the North Shore and Northern Beaches of Sydney. We found ourselves forced to do this as one of the things both these regions have in common is trees, and lots of them. The beaches and north shore, in particular, are blessed with an abundance of leafy streets. This makes for beautiful homes but sadly means blocked gutters, corroding valleys, blocked and corroding down pipes all if which keep us very busy. So we now offer Gutter Guard installation and replacement to cut down on these issues. We can help with all roof types. If we quote & do the job on the same day you will receive a 10% discount. Our team has a real passion for all aspects of roofing and can provide a finish that will satisfy. With a reliable team we pride ourselves in getting our works completed with maximum quality and minimal impact to your life. After many years of experience in the building industry we that understand we’re working on your castle and hence try to be seen but not heard. So whether you need some repointing or a completely new roof call for an obligation free quote. So don’t get up there and risk doing it yourself. Lets face it this is pretty dangerous work. But rest assured we are fully qualified to perform these works and have all the appropriate equipment to ensure its done quickly and safely. 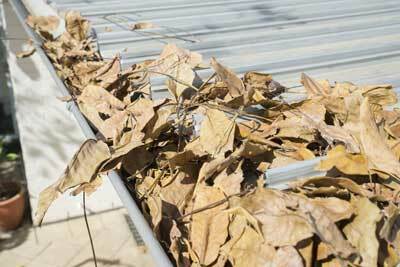 There are many reasons why you should have your gutters cleaned regularly. The obvious being the ever present fire hazard our Aussie summer presents. Regular roof and gutter maintenance also increase the lifespan of your gutter. Blocked gutters can also prevent the flow of needed water to your water tanks. We can repair both metal and tiled roofs. Re-Pointing ridges and sealing broken tiles or even replacing and matching tiles to old roofs is not a problem. Rusty valleys too can be quickly replaced. If your roofs leaking too we can search, find and fix. 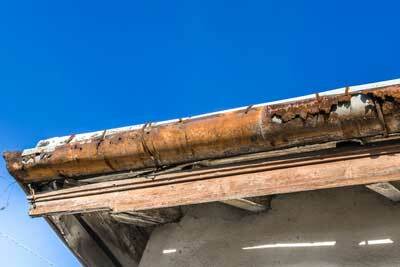 Saggy gutters can be fixed and downpipes replaced/repaired. Whatever your roof plumbing needs we can fix. If the gutters are so old or too badly damaged no problem we can replace them. Gutter Guard is a brilliant way to ease the maintenance to your gutter. 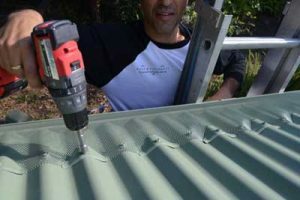 We can supply and install a wide range of gutter guard to suit your roof. We can even install fire proof gutter guard depending on the fire zone your property is situated. We will warrant our installation for 7 years. Call us today for an obligation free quote and if we perform the work on the spot we’ll give you a 10% discount.